Peter Goggin graduated from Mounds View High School and is studying saxophone at the University of Michigan. He is a member of Hoaxer and No Exit, as well as the new trio "Friends & Neighbors." He has performed with various ensembles at the Black Dog, Reverie, Studio Z, and Jazz Central. Peter was a three-year member of the Dakota Combo. Peter was a featured soloist with the University of Michigan Jazz Band during the 2016 Detroit Jazz Festival. 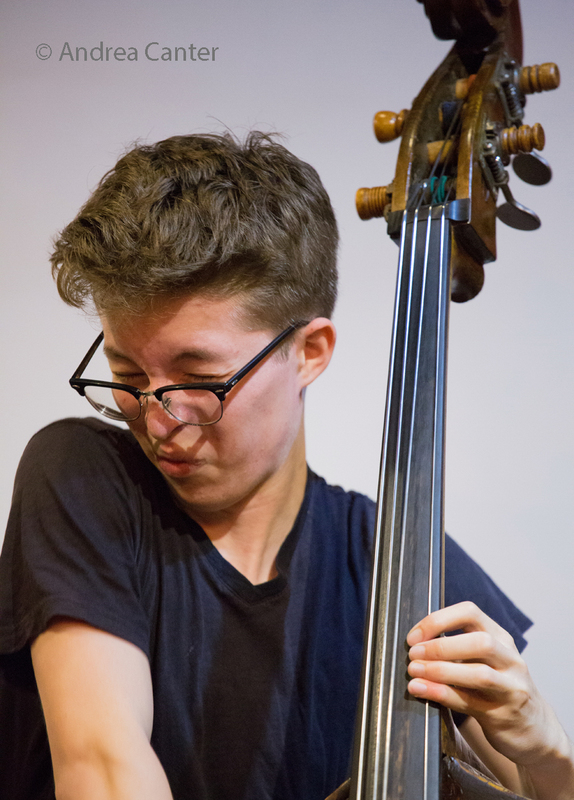 Bassist Charlie Lincoln in his second year of jazz studies at the Berklee College of Music, where he recently joined Berklee's Global Jazz Institute. A South High alum, Charlie was already a busy gigging musician before graduation, playing with the Dakota Combo, Central Standard Time, the Charles Lincoln Group, and subbing with Eric Gravatt's Source Code. In his senior year, Charlie was selected as one of two youth songwriters in the Eric Stokes Songwriting Contest and was on stage for the Young Performers Showcase for the Zeigeist New Music Cabaret. Last summer, Charlie served as a curator for a monthly new music series at Jazz Central Studios, as well as performing with a number of area bands: Hoaxer and No Exit to name a few. He performed with the Dave Brattain Trio and Hoaxer during the 2016 Twin Cities Jazz Festival. Luke Peterson is studying mathematics and physics at Northwestern University. A graduate of Apple Valley High School and alumnus of the Dakota Combo and Minnesota Youth Jazz Bands program, Luke most notably leads the band No Exit, for which we composes most of the music. Luke recently performed at the Black Dog with a new group under the listing Wozniak/Adkins/Peterson/Peterson, a new group in which Patrick Adkins and Luke Peterson played their compositions with some of the busiest musicians in the Twin Cities, Brandon Wozniak and Graydon Peterson.